Join Us Sunday! It promises to be a fantastic time for the family. Great food. Great weather. And all-around great fun. This is one of the most fascinating passages of scripture we will read in the Bible. This is quite an extraordinary exchange between Jesus and his disciples. As we read these three verses, Jesus moves us from a place of earthly concern to a place of heavenly concern which comes at His direct command . First of all, notice the disciples concern over the “kingdom”. They were primarily (read: only) concerned with the establishment of an earthly kingdom in which Jesus would be reigning king (i.e. David) and they would be his administrators (see: Mark 9:33-37). Each one of the faithful disciples believed they would be appointed a special position of power and honor among the people of the new kingdom, and Jesus would reign on earth with benevolence and justice. As their selfish minds begin to wander off into a land of comfort out from under Roman oppression, Jesus quickly and decisively knocks his guys back down to earth. In fact, he bursts their earthly kingdom bubble when he essentially says “It’s really none of your business when the new kingdom will be established; God the Father is in complete control of that. Stop worrying about it and what your place will be. Listen to what I have to say, because this is what you will be doing with the rest of your earthly life.” Wow! What a realization that must have been for the disciples. They were working all of this new information out in their minds, “Wait a minute! What have we been following you around for? There IS going to be a kingdom, right?” Of course, Jesus never denies that there will be a new kingdom. In fact, that is exactly what he came to establish (John 18:36). Only this new kingdom is not one of earthly power, but of divine, heavenly power. A kingdom that is boundless and eternal. The disciples didn’t see it. Not yet. Then in verse 8, Jesus gives a command which would become the life purpose for each of the disciples and of every Christian that would eventually follow them (that means you). He says “But you will receive power when the Holy Spirit has come upon you, AND you will be my witnesses. . .” We tend to spend a lot of time focusing on where the disciples would be witnesses; places like Jerusalem, Judea, Samaria, and the ends of the earth, and rightly so. This is a direct command for God’s people to be about global missions. But it is unwise for us to overlook what Jesus says must happen first, and then what the result will be. He tells us that we will receive power from the indwelling of the Holy Spirit. Any person who repents of their sin and turns to Jesus for salvation is justified and saved by God (Rom. 10:10). They are transformed from a rebellious slave of sin to an obedient bond-servant of Jesus. And in this new relationship with Jesus, every believer receives the Holy Spirit, who gives each of us the power to do as Jesus has commanded (John 14:16). In this case, the command is to “be witnesses.” Notice that Jesus doesn’t leave room for the disciples to negotiate the terms of this relationship. He tells them, and each of us as well: “You will be so transformed by my Spirit that you will have no other choice but to be my witness to this world. The power of my presence will so greatly overwhelm you that you will not want to do anything else but testify to the faithfulness and glory of God.” Non-negotiable and non-refundable. Jesus purchased your life with his blood and you belong to him. He will make you a living witness one way or another. 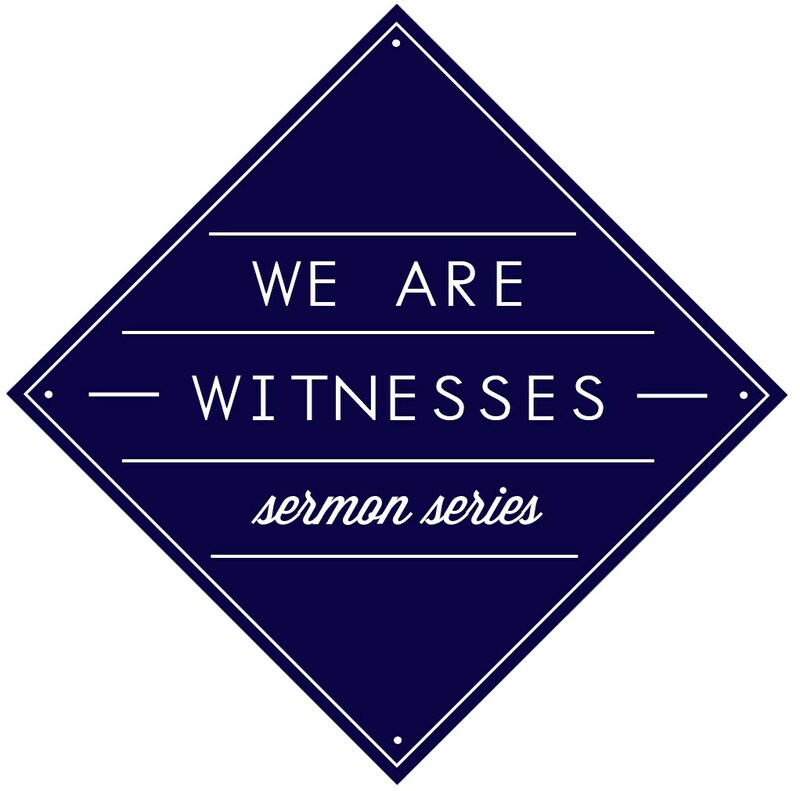 Jesus isn’t just commanding us to be his witnesses if we want to or if we feel like it or if it’s convenient for us. He is telling every true believer exactly what will happen. We can’t change his plans or alter his will in any way. God’s people WILL be a living, breathing, walking, talking, singing, joy-filled testimony to who God is and to what Jesus has done for the sake of the people he loves. Through suffering and joy, every believer WILL BE used by God to declare his joy and power to the world. 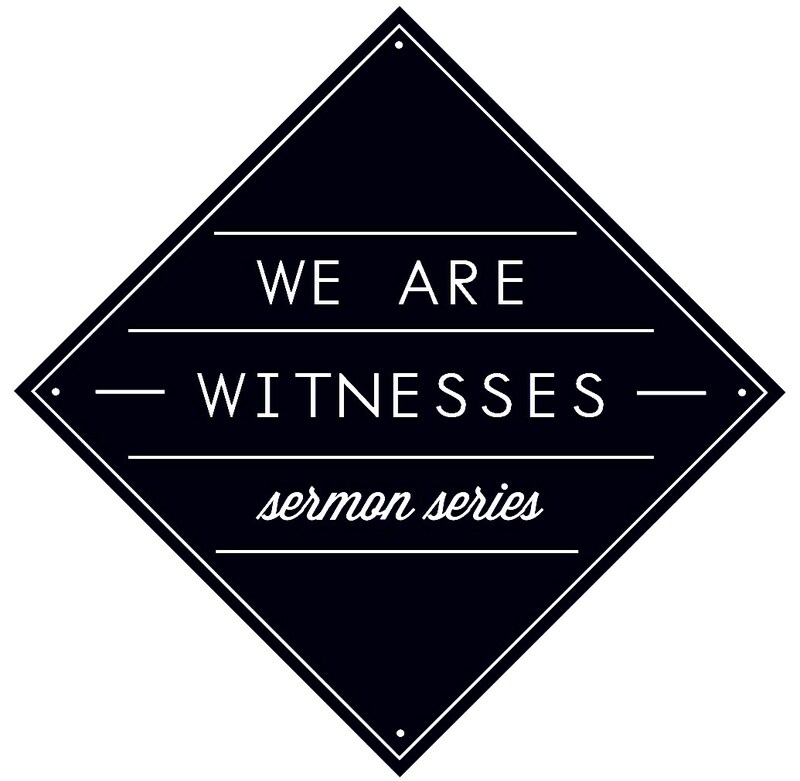 So, are you a witness? How have you shared the eternally significant truth of the gospel to the world? How has your life been a witness to a faithful and merciful God? You really don’t have a choice; because We Are Witnesses. Join us in October for this powerful series.